Welcome to the Magno-Humphries Inc Conference Room! This space is available to rent 9 AM to 5 PM Monday through Friday. 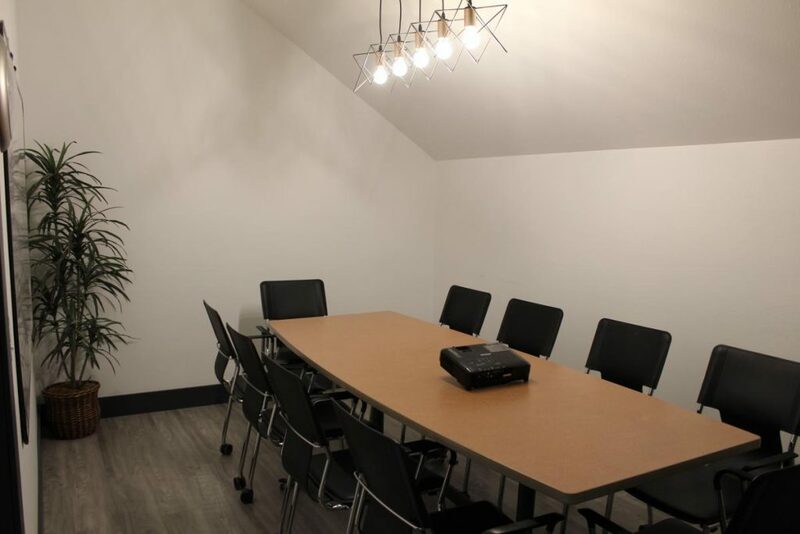 The room can hold up to 12 people in the room. It can comfortably sit 8 to 10 people at the table. Tigard Chamber members have 2 to 8 hours of free use depending on their level of membership. No refunds will be given for less than 48 hours notice of cancellation from reservation time. Use the scheduler below to reserve the conference room. Click on the amount of time you would like to use the space. Click on the date you would like to reserve. Click on the time you would like your reservation to start and hit confirm. If you need more time, go through steps 1 through 4 again.